Some time ago, I was listening to a podcast on running and I heard the quote I just paraphrased in the subject. I’ll keep it short, the concept is fairly simple. When race day comes, it’s natural to be nervous. As you’re waiting for the race to start, you’re thinking through your goals, your race plan, and everything else, You’re on edge. This is the day. You’ve put a lot of preparation into today and it’s time to make the most of that preparation. Once the gun goes off, your psychology changes. It’s time to execute. You’re taking care of business. You’re doing what you know how to do. You don’t have as much time to think and rethink everything or worry about all that can happen. You’re too busy executing. So, on race day if you find yourself feeling the nerves, do whatever is necessary to get to the gun without those nerves tearing you apart. Once the gun goes off, you’ll be fine. Great Post!!! You are right!! You start to make movies in your head about how the race will play out. Once the race is off, you start doing what feels so familiar to you! Another tip is to have a routine, do before the race what you would before a training sesión, so that on race day it becomes second nature! Cheers! Absolutely Cesar! 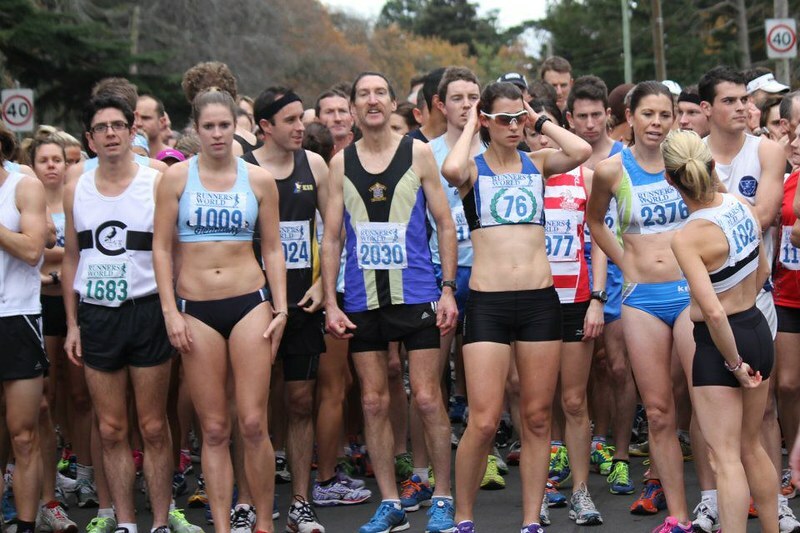 One of the great things about having a standard warmup routine for race day is that you have a routine that should bring comfort and familiarity, which should help calm the nerves. Next PostNext How do you keep score?